This is what I think every time that I watch this. I expect a license plate to come out. 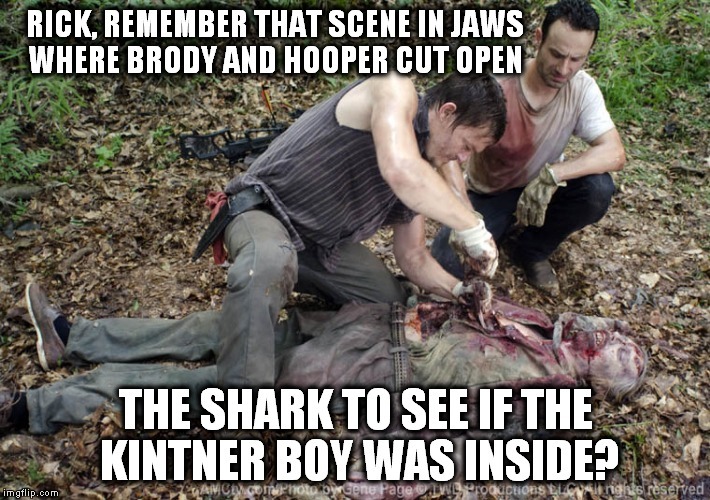 RICK, REMEMBER THAT SCENE IN JAWS WHERE BRODY AND HOOPER CUT OPEN; THE SHARK TO SEE IF THE KINTNER BOY WAS INSIDE?